Glacier Bay National Park. 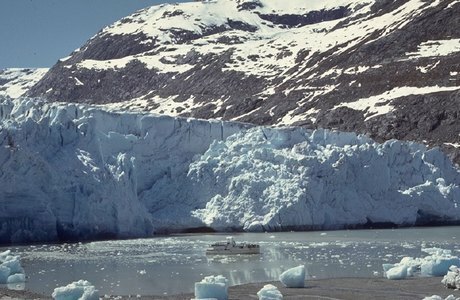 The marine wilderness of Glacier Bay National Park and Preserve provides opportunities for adventure, a living laboratory for observing the ebb and flow of glaciers, and a chance to study life as it returns in the wake of retreating ice. Amidst majestic scenery, Glacier Bay offers us now, and for all time, a connection to a powerful and wild landscape. The park has snow-capped mountain ranges rising to over 15,000 feet, coastal beaches with protected coves, deep fjords, tidewater glaciers, coastal and estuarine waters, and freshwater lakes. These diverse land and seascapes host a mosaic of plant communities ranging from pioneer species in areas recently exposed by receding glaciers, to climax communities in older coastal and alpine ecosystems.